Jagannatha has many Besas (special attires), somewhere around thirty. Some of them are done on a daily basis. Others are done on a special day each year. Yet others are done based on specific astronomical conjunctions- in which case the Besa may be done every five years or every ten years. By this point, we have only three or four of these, each one of these being very rare. Going further, the rarest of all of them is the fabulously luxurious Raghunatha Besa, in which Jagannatha is dressed as Rama. 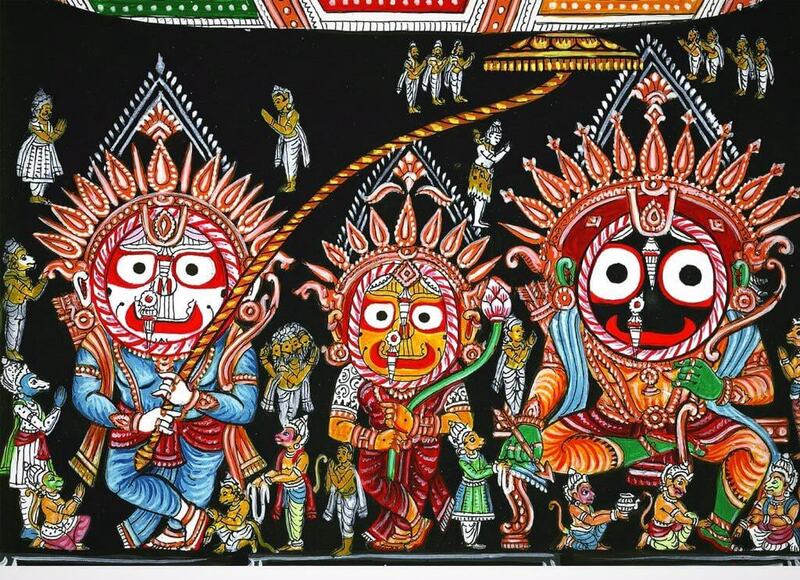 In this grand ‘Besa’ or costume, Jagannatha is dressed as Rama and Balabhadra as Lakshmana. Subhadra is Rama’s elder sister, Shanta. In a very graceful pose, Jagannatha wields the bow and the arrow in his hands. Hanuman sits by his feet and Sita on his lap. And why is it rare? Because of the gold. The sheer amount of gold used in this one attire far surpasses those used in any other ceremony or festival- even the Suna Besa, the ‘Golden attire’ which gets its name from the quantity of the gold. In 1577, Gajapati Ramachandra Deba made hundreds of pieces of jewellery to adorn the triad. Back then he issued coins with Rama’s sign. This is the very same jewellery. So much is the gold that this costume has not been done for the last century out of security concerns. The last time was in 1905. And in the last 600 years, this costume has only been done 9 times. Only nine. Most sources today agree that the last time Raghunatha Besa was done was in 1905. So I checked the first Odia newspaper. 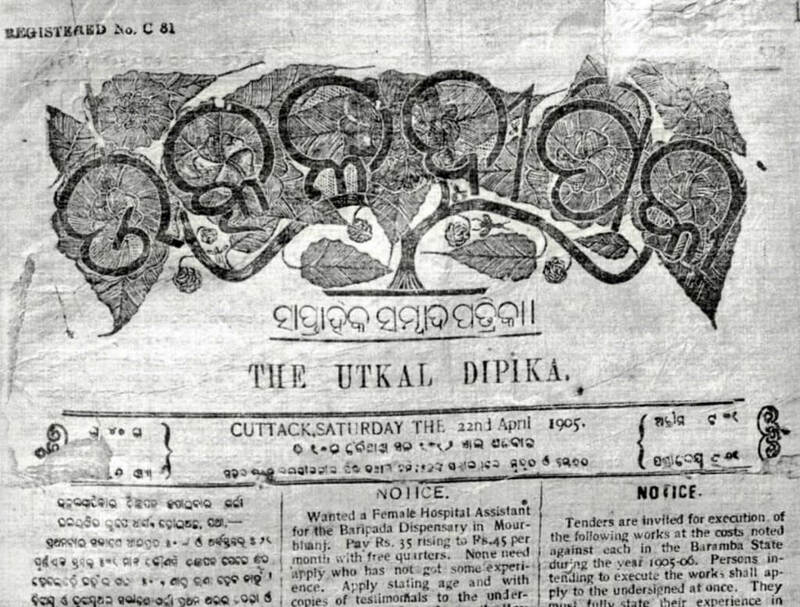 This is ‘The Utkal Dipika’, the first ever Odia newspaper. Fortunately it has been scanned and the pages have been preserved. On 15th April 1905, Saturday : There’s a full one-page report that Raghunatha Besa will be done on 27th April 1905 and a public invitation. Nothing in the 29th April 1905 issue. Perhaps the page did not survive or the Besa was not over yet. Quite unexpected. On 6th May 1905, Saturday : Raghunatha Besa has been organized. 50–60,000 inside temple. Overcrowding, many unable to see deities. That’s it. I wonder whether this Besa will ever be done again, for that’s all we can do for now. Let’s see.